When my life-long friend Lynda came to visit me last month, she pulled out a really cool reusable bag from a little pouch. The bag had a great design with a fun colorful print and it was just perfect for carrying the items we were buying at the time. 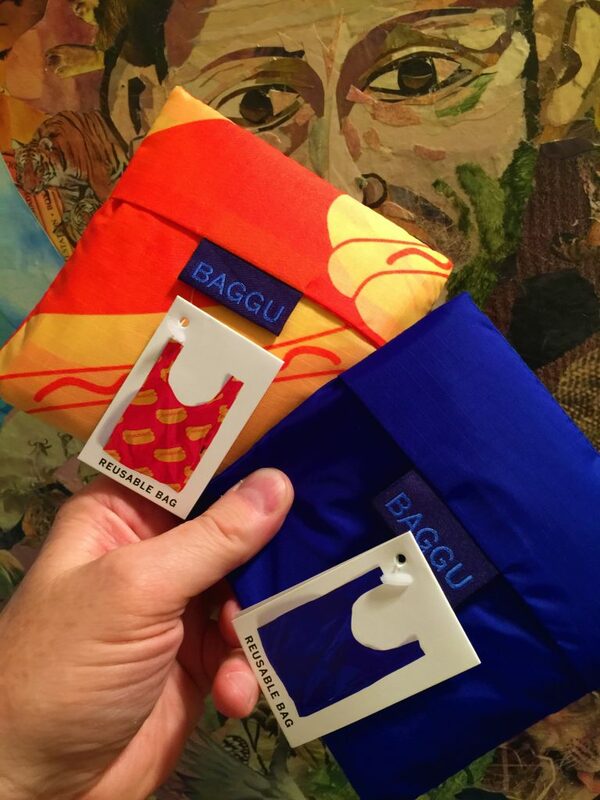 I was all: “what fresh awesomeness is that?” And she told me it was a reusable bag from the fine folks at Baggu. Before I knew it, as a thank you gift for hosting her visit, she sent me two of my very own (below). 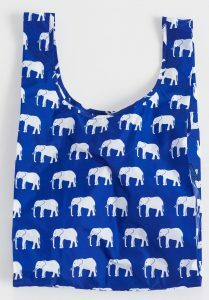 See all the cool Reusable Bags designs available from Baggu here. See all the modern funky fun accessories from Baggu here. Lost Cowboy is powered by	WordPress 5.0.4 and delivered to you in 0.857 seconds using 45 queries.